Some of you asked for a list of ultrabooks and other thin and light laptops with integrated cellular modems working at either 3G or 4G/LTE speeds and I’ve finally got to put this list together. 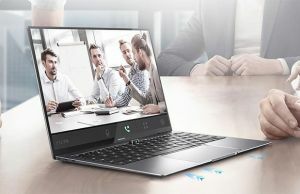 As expected, this list is not that long, as only a handful of business ultrabooks offer this type of connectivity option right now. Anyway, you’re probably not here for these suggestions, but for a list of 3G/4G enabled ultrabooks, so check out your options below. 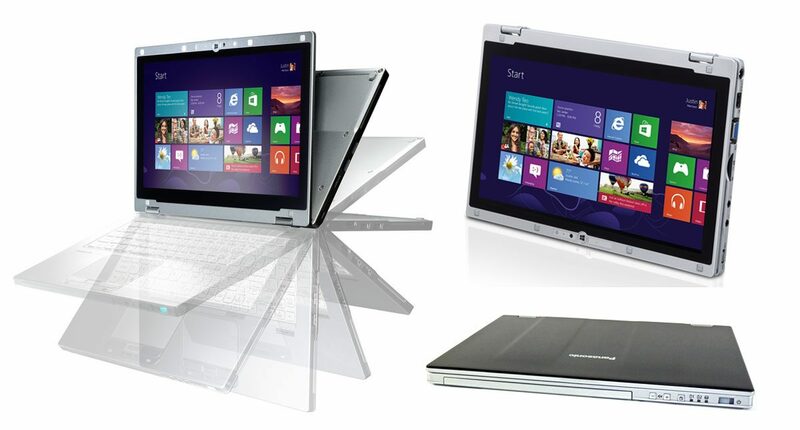 These are recent ultrabooks launched in the last two years, sporting Intel Haswell or Broadwell hardware platforms. If money are not a concern, this HP ultrabook should be at the top of your list. It’s a thin (16 mm) and light (starts at 3.3 lbs – 1.49 kilos) 14 incher, available in a multitude of configurations. You can choose between non-glare 1600 x 900 px or 1920 x 1080 px screens, pick between Intel Haswell Core i3/i5 and i7 CPUs with Intel HD 4400 or 5000 graphics, various types of storage options (HDDs, SSDs), up to 8 GB of RAM and a few different OSes (Windows 7/8/8.1 and even Linux). On top of these, you get the basics: capable backlit keyboard, 42Wh battery, no missing ports, plus extras, like the Mobile Broadband Module or the optional accessories (docking stations, adapters). And, as a device meant for business environments, it’s not only tough, but designed to keep your data secure. The aluminum body passes MIL-STD 810G tests such as drop, shock, vibration, humidity, altitude, etc, and technologies like vPro or storage encryption are present on this device. So, long story short, there’s little you might not like about this laptop. Except for the price. It starts at $1299 and can go up quite a bit. You’ll find more details on HP’s website, plus you can configure your own model there. The Vaio Duo 13 is a convertible, or one of the so called 2-in-1 laptops, and I’ve reviewed it in depth in this post. It has a bizarre shape, as the screen covers the laptop’s upper part and slides up when needed, revealing the keyboard and trackpad hiding beneath. That translates in pros and cons. On one side, the Vaio Duo 13 can be used as a tablet and integrates a pen and digitizer support, so can be a good tool for taking notes, sketches and so on. On the other though, the form factor makes it rather difficult to use when not placed on a flat desk, plus leads to a cramped keyboard and puny trackpad. Hardware wise though, the Vaio Duo 13 packs everything you might need, with Intel Haswell platforms, good connectivity options (Including Broadband, as an option) and ports and a rather large 50Wh battery, enough to keep this one going for 7-8 hours of everyday use. As a wrap-up, if you’re fine with the form factor, the Vaio Duo 13 can be an excellent device. It started at $1400 when it was initially launched, but these days you’ll find it much cheaper online, for $1200 or even less. Higher end configurations are more expensive, of course. The Panasonic CF-AX2 is a compact and light (1.15 kilos) business laptop, with an 11.6 inch touchscreen, but a set of amazing capabilities. First of all, the screen flips 360 degrees over its hinge, like the Lenovo Yogas do, which mean that you can use this device as both a regular laptop and a tablet. Secondly, this device is sturdy and well built. It’s designed to survive shocks, up to 100 Kilos of force applied on it and even drops (from 2 feet). It’s also MIL tested and approved. Thirdly, it packs a large selection of ports and connectivity options. And forth, but not least, it offers a swappable battery, which means you can have multiple batteries and swap them in real-time, on the field (one battery is enough for about 6 hours of use). The CF-AX2 is not without flaws though. The HD TN screen is rather mediocre, the keyboard is tacky and overall bad and the whole thing is very expensive. But the form factor, the versatility and the build quality are what you’re paying for in the Panasonic CF-AX2, so if you’re after a compact and light tough ultrabook, there’s hardly anything better than this one, although it will take some time to get used with its quirks. 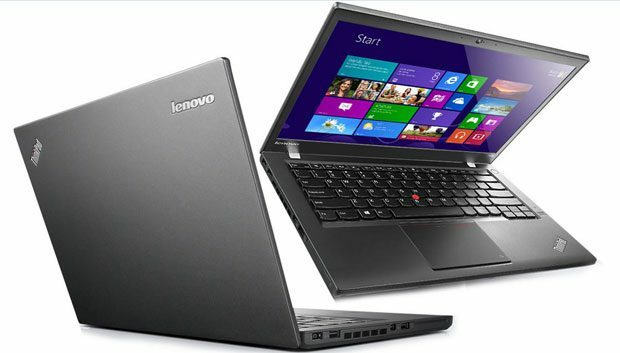 This could have been a great laptop, it Lenovo wouldn’t have experimented with a few crucial aspects and wouldn’t have changed a few of the aspects long-time ThinkPad users, like myself, appreciate on ThinkPads. The longer story is available here, in my detailed review of the X1 Carbon 2014. The shorter one goes like this: the X1 Carbon is a thin and light ultrabook, sporting the classic ThinkPad looks and build quality, plus a MIL tested carbon-fiber body. It’s available in a bunch of configurations, with non-glare displays or a touchscreen, with several types of Haswell platforms and capable graphics. However, Lenovo skewed the typing experience with a row of haptic and multifunctional F keys, implemented a button-less trackpad and ditched some of the important connectivity options (like the card-reader) in order to make their device as skinny as it is. You might be alright with these approaches, in which case the ThinkPad X1 Carbon is a worthy pick. Or you might not, in which case, you should check out the other laptops in here. The X1 Carbon 2014 starts at $1200 or even less, with various rebates, so it’s actually somewhat more affordable than the HP above. This one is a beefier version of the X1 Carbon above. It packs all the right goodies, including Intel Haswell hardware and a good selection of ports (VGA, card reader, RJ45, etc), inside a 4 pounds, 0.8 inch thick body. It also packs a regular keyboard, without the fancy tactile row of F keys, but the same buton-less clickpad that’s going to annoy TrackPoint users. 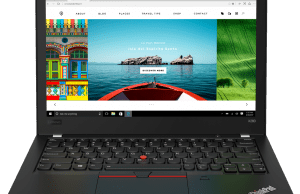 Unlike the X1 Carbon though, thie ThinkPad T440S is much cheaper, starting at $800 for the most basic configurations (Core i3 processor with 500 GB HDD). So for some of you, it might be the more appropriate pick, if you don’t mind lugging around the extra pound. If you’re one a tighter budget and still want a Broadband capable ultrabook, these older units might be good picks for you, sporting older Intel IvyBridge or even SandyBridge hardware. Keep that in mind that you’ll be loosing performance and efficiency over Haswell though. Thin and light 13 inch ultrabook with IvyBridge hardware, a large battery and very little flaws. Except for one: the lid cover is rather flimsy and tends to flex badly, so treat it nice, or you might end up with a cracked display. And that’s going to be expensive to replace. the Toshiba Z930 sells for under 1G these days and can be configured with an optional 3G modem. I reviewed its predecessor, the Z835, in this post, in you’re interested. 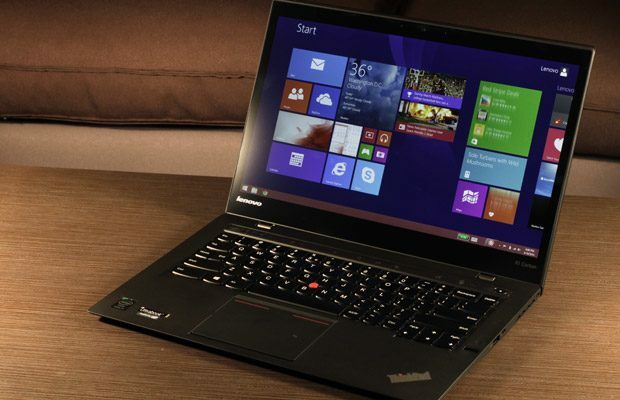 Last year’s 12.5 inch ThinkPad could be equipped with a Broadband modem. So if you wanted a smaller and more compact business laptop, with a good keyboard, plenty of ports, different hardware options and long battery life, plus 4G connectivity, it was a solid option for you. Its Haswell update though, the ThinkPad X240, lost the cellular modem and a few other things in favor of a smaller and lighter body. The Helix is an 11.6 inch tablet with pen support and a keyboard/trackpad/ports docking unit. Together, they made for a fairly good laptop, but you could always use the slate as a stand-alone device. However, the Helix is rather bulky for a tablet, not to mention noisy (there’s a fan inside). And that, combined with the hefty price tag ($1600 and up at launch, now considerably cheaper), led to its lack of popularity. But if you’re after this specific form factor, you’re not going to find anything similar in stores these days. This one was a solid device back in the days (check out my in-depth review for more details) and might still be today, if you can find it properly priced. It combined a beautiful and sturdy body with good performances and long battery life, but the TN screen, the flat keyboard and tacky trackpad weren’t great and might be enough to steer you away from it, especially these days, when there are plenty of newer and overall better options out there. 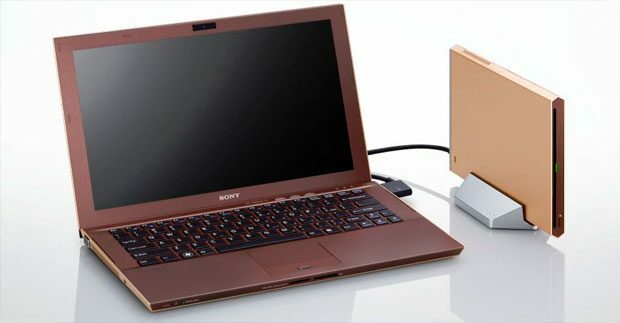 While the latest (and the last) Vaio Z was released back in 2012, this was an emblematic series back then, sporting the best you could find in a portable laptop: screen, hardware, build quality, you name it. It was more expensive than pretty much any other ultraportable out there and not without flaws, but it was light, fast and came with a nice selection of features and accessories (docking stations, slice batteries, an external GPU). In other words, it was an amazing business laptop. The Vaio Z was discontinued in 2013 and never updated to Haswell, but the 2012 model could well be a solid notebook even by today’s standards. If you can find it for a fair price, of course. Alright, those were most, if not all of the 4G capable ultrabooks that you should consider these days. As you can see, there are quite a few options for you to pick from, each with unique features and particularities. If you have any questions or anything you might want to add to this article, the comments section below is opened and I’m around to reply. And if by any chance neither of these laptops is good enough for you, perhaps you might consider dropping the Broadband connectivity and go with one of the many other ultrabooks available out there. My list of the best ultrabooks of the moment or this list of Haswell ultrabooks are great places for you to start your search. You mentioned Fujitsu U772, but not the newer version Fujitsu U904. I couldnt’ even find a review on your site for this one. Seems like a worthy contender as well, right? Would be great if you could review that one as well. Здравствуйте, вы сделали отли4ный обзор, но несколько сложно для гуманитариев ))), в плане изобилия техни4еских терминов. Помогите, пожалуйста, выбрать. У меня сломался мой Тошиба 13,3 дуйма, был сателит Т-235Д-С1345РД, и он меня вполне устраивал по скорости, функционалу. Мне нужно хорошо работауший Ворд, при одновременно открытых 10-15 текстовых документах, быстрый переход по файлам, быстрое реагирование, и хорошая работа в интернет серфинге, одновременно открытых 20-30 ссылках или страниц, а также форумах, сайтах, смотреть онлайн кино, переда4и. Нормальное изображение на экране, не бликовал. В игры НЕ играу, совсем. Главное, 4тобы он не зависал, если много 4его открыто, и был быстрым. С рас4етом, 4то много пе4тать текста (крепкая, удобная клава), и авиаперелетов (не тяжелый), И 4тобы можно было самостоятельно удалить установленный в нем антивирусник маккафи и его ;родной; интерфейс, мне нужно будет со старого перенести все данные на новый. 4етвертый день смотру форумы и никак не могу выбрать. По похвалам сна4ала хотелось Asus Zenbook UX302LG, но его нигде нет на сайтах сторов в сша, и как я увидела он дороговат, xотелось бы не дороже 1000$. Спасибо. How about the Toshiba z30t ? Sorry about the google translate, but couldnt find a non nordic version of the page. Touch 4G all ports needed including dock, but very little about it online…. Thanks Magnus, I’ll look into it, seems to belond in here with all the others. Can you remember any 4G/LTE ultrabook 13-15.6″ with discrete Nvidia graphics? What do you mean by pretty decent video card. What do you plan to do with your laptop? 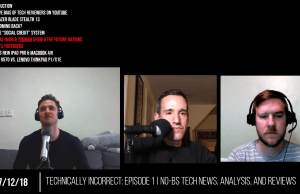 You haven’t mentioned anything on a preferred screen-size or budget, but I’d probably look at the Lenovo ThinkPad Yoga and some of the available Dell and HP business ultraportables. Thanks for aggregating these LTE capable ultra books. I was expecting some discussion or some focus on the actual LTE connectivity. Like where do you insert the micro sim card? Do you have to unscrew the backplate, or is there a slot to the side of the ultra book. Also what about software to manage the LTE connection. Is it always on? Can the user turn it off without removing the micro sim? There really is no mention whatsoever on how any of these ultra books accomplish the above tasks. Hi Andrea, Thanks for this work. I’ve read numerous articles, but still don’t have the answer to my (perhaps impossible) quest. I’m looking for the lightest weight 3G/4G notebook/tablet/laptop around. Other requirements: lappable (I need to safely and securely type in my lap), USB port of some kind, a keyboard, wifi, and can use Microsoft Office. Most critical: lightweight, with 3G or 4G/LTE, and keyboard. My uses: email and web browsing and some use of Microsoft Office. No need to watch videos. No need to download software when I’m using a cellular connection. No need to store a lot of data. A somewhat quick processor would be good cause I often have a weak cellular connection. It’s gotta be less than 1.5 pounds or 0.7 kg WITH keyboard. Screen size I’m thinking 10.5″ minimum. I live in the US. Happy to order from anywhere. Not in a hurry. Thank you so much!! !